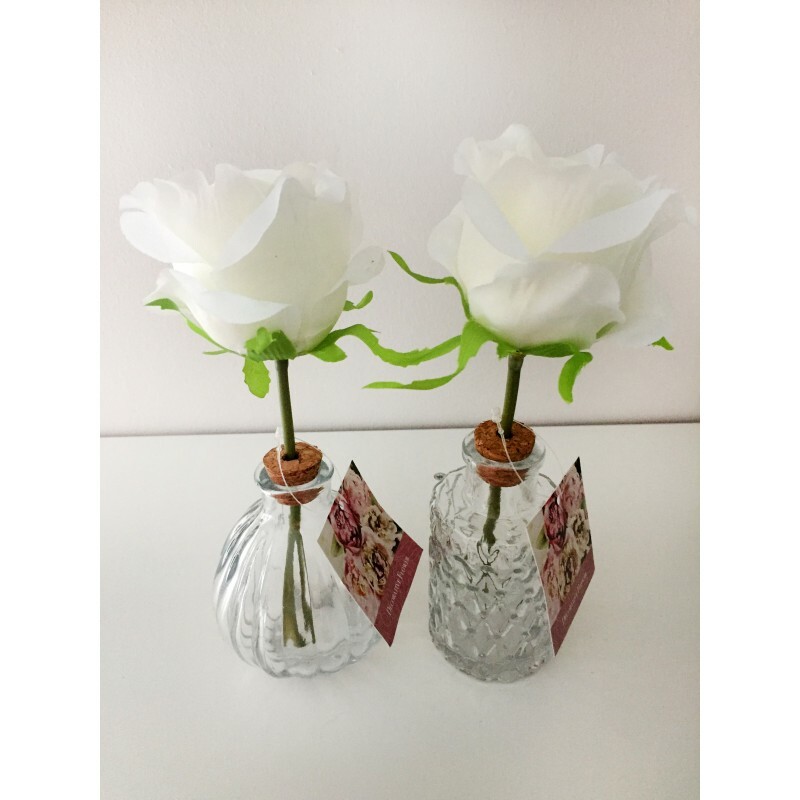 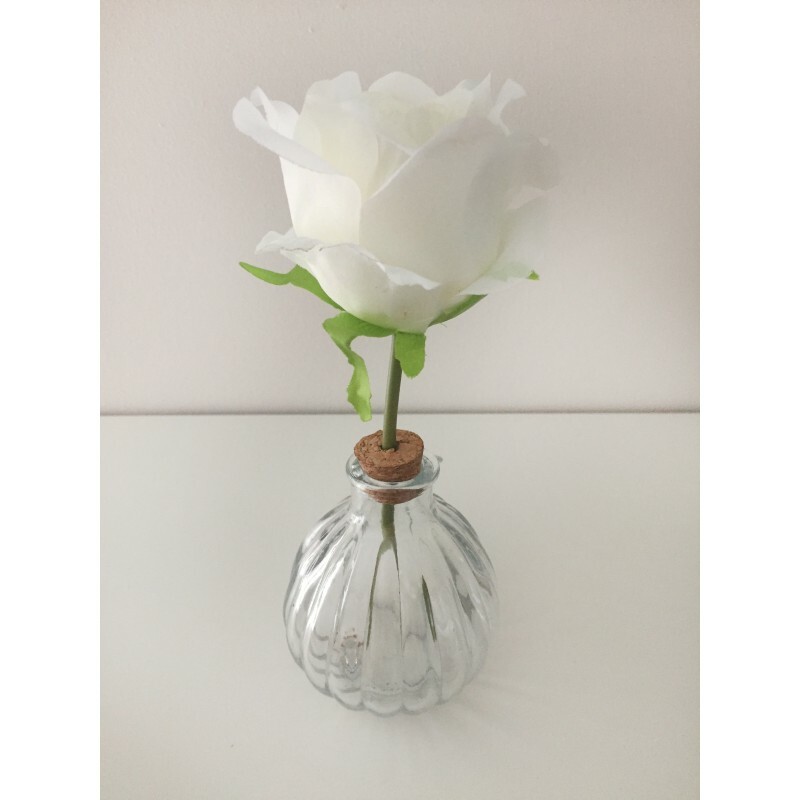 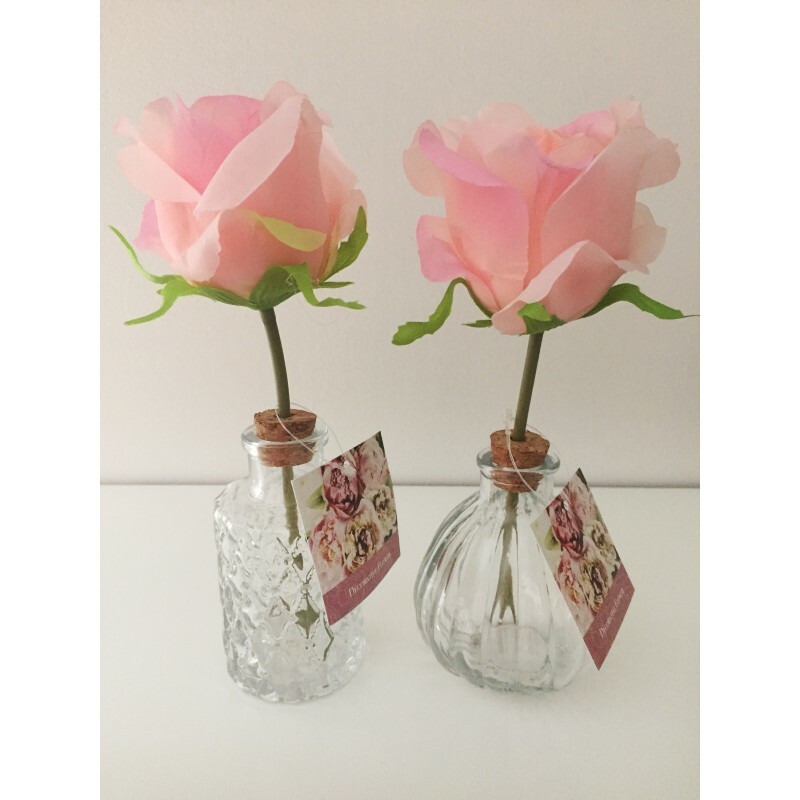 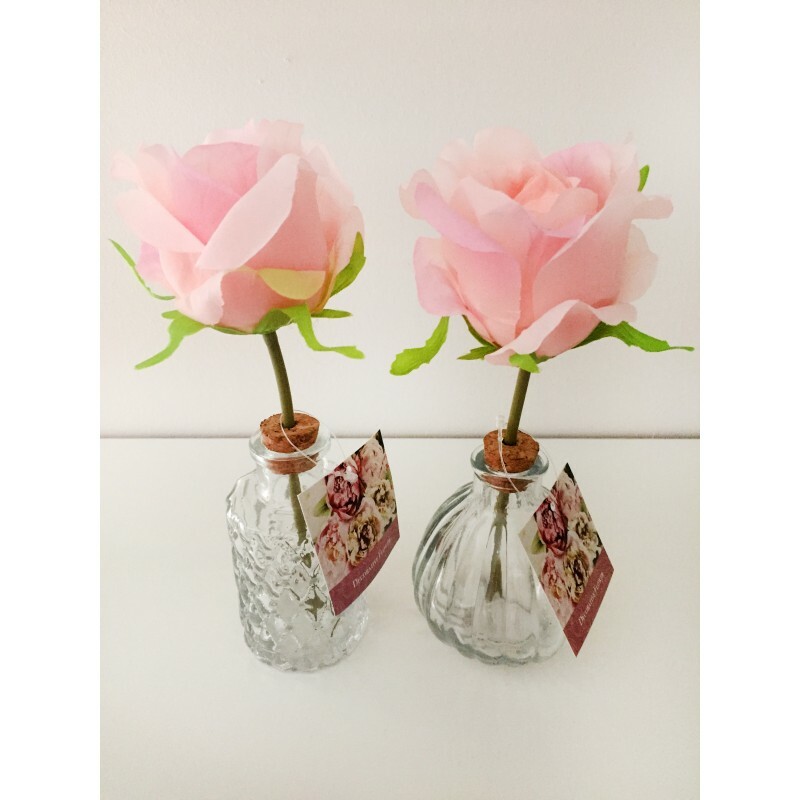 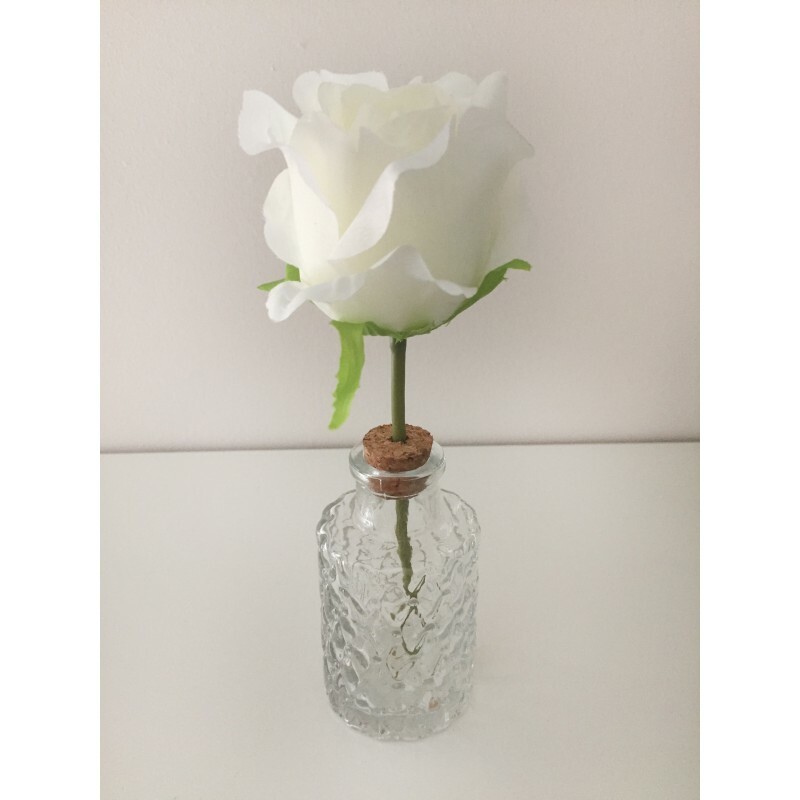 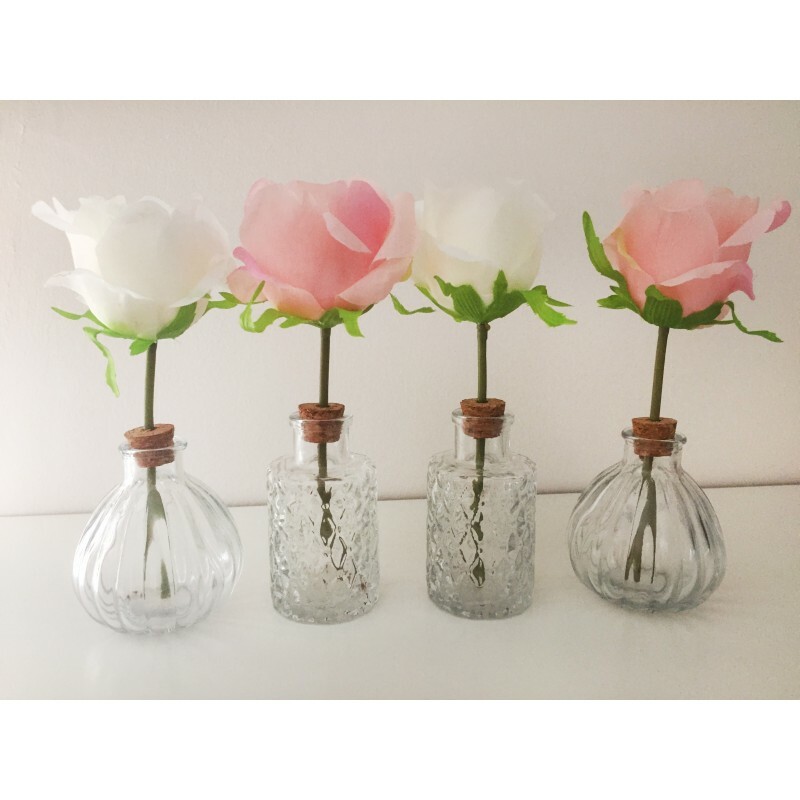 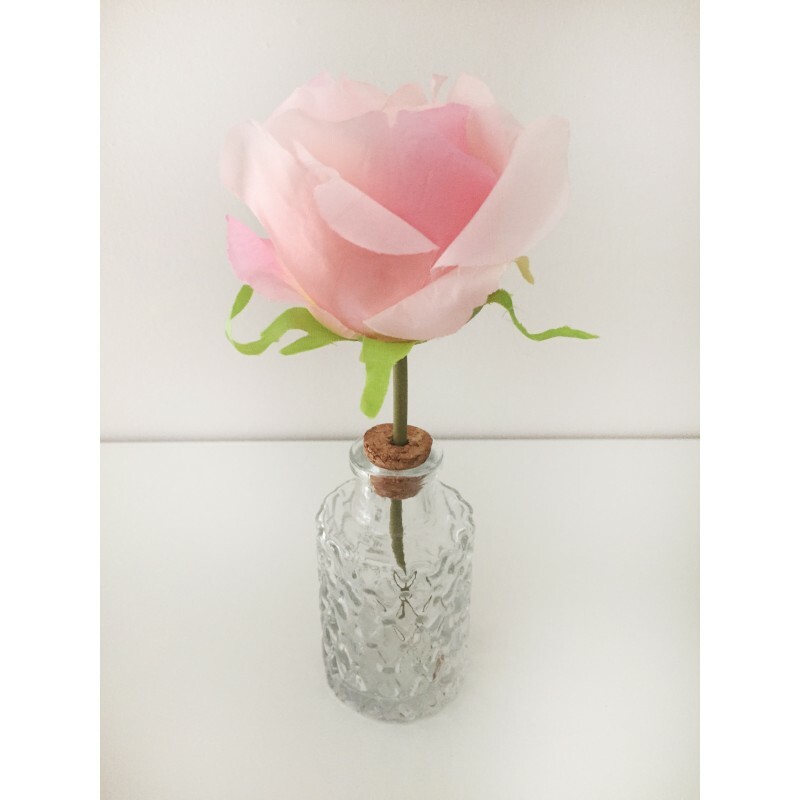 A pink or white beautiful satin rose in a shaped patterned clear glass vase. 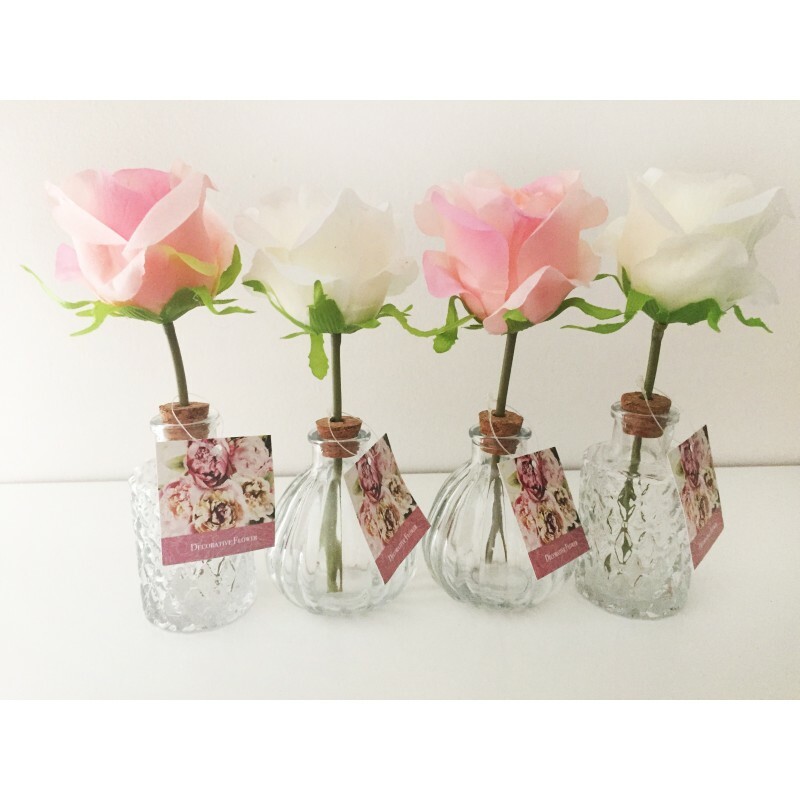 This range not only has the natural beauty of real flowers with their vibrant colours, it has the benefit of no maintenance. 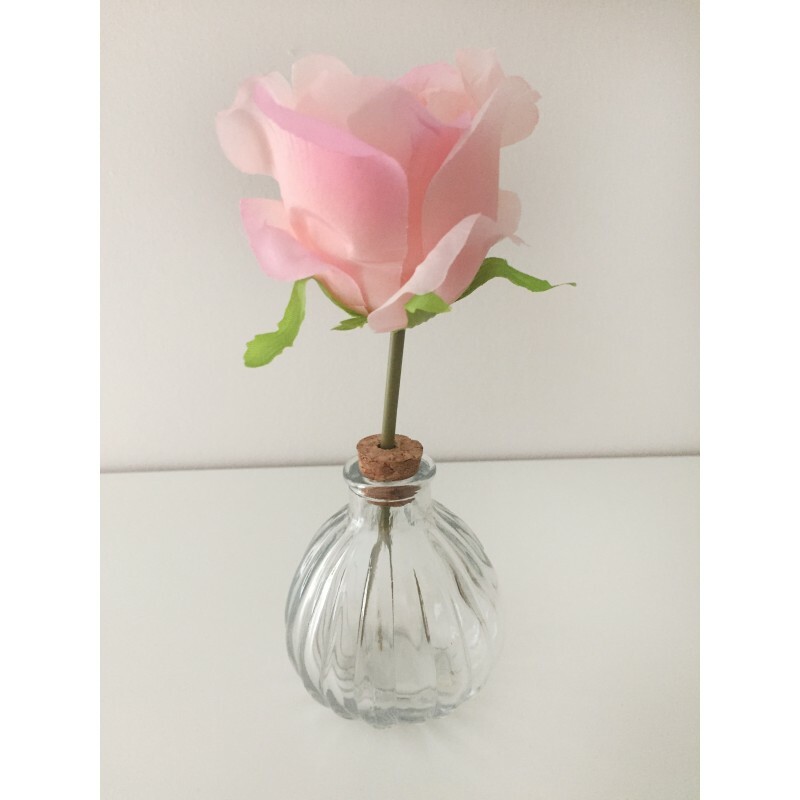 This fantastic rose is perfect for any occasion.